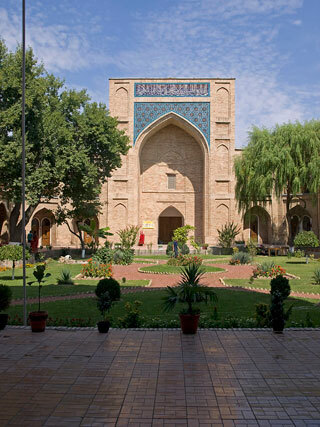 Tashkent is an ancient city on the Great Silk Road from China to Europe.The Old Town has retained much of its old charm. Here you will find low adobe houses with shady courtyards, narrow winding streets and many ancient mosques and madressas. This article uses material from the Wikipedia article "Old Town of Tashkent", which is released under the Creative Commons Attribution-Share-Alike 3.0 License.